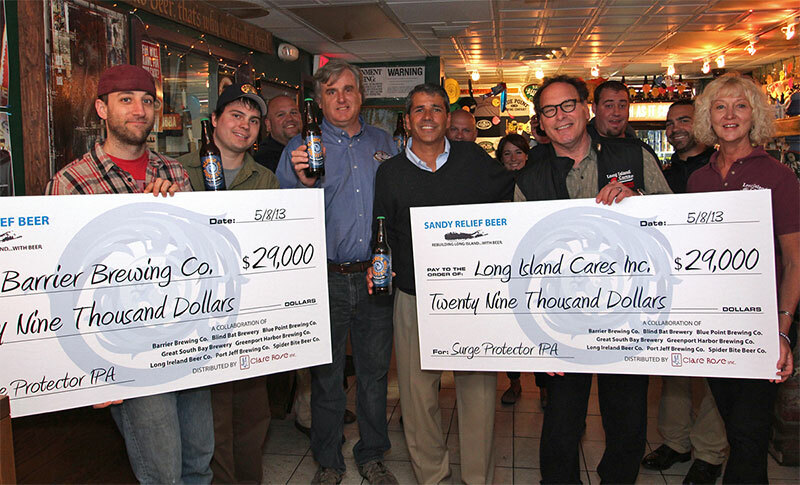 Long Island Cares, Inc. and Barrier Brewing Company Receive $58,000 in Sandy Relief Aid From Local Breweries. 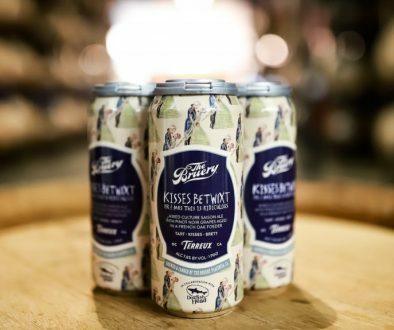 Patchogue, NY – Blue Point Brewing Company, together with seven local breweries and Long Island beverage distributor Clare Rose, Inc. are proud to announce that proceeds from the Sandy Relief Beer collaboration were donated to Long Island Cares, Inc. and Barrier Brewing Company at a presentation at Blue Point Brewery in Patchogue today. 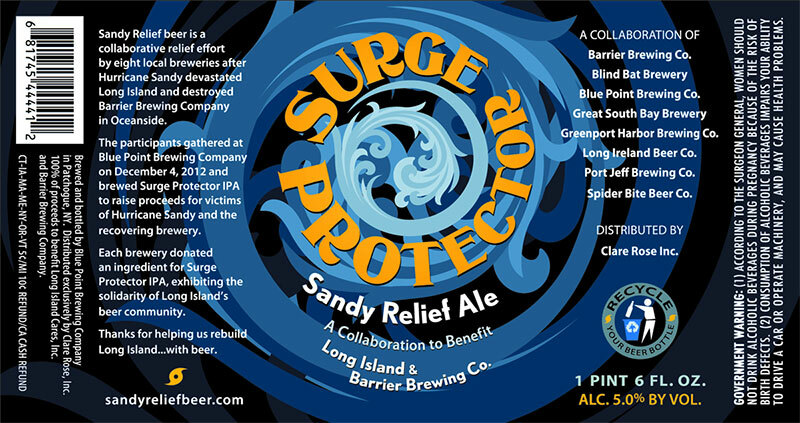 A relief effort by eight local breweries after Hurricane Sandy devastated Long Island and destroyed Barrier Brewing Company in Oceanside, Sandy Relief Beer participating brewers initially gathered at Blue Point Brewing Company on December 04, 2012, to brew Surge Protector Sandy Relief Ale, an India Pale Ale, to raise proceeds for victims of Hurricane Sandy and the recovering brewery. The breweries collaborated on the recipe and each donated an ingredient for the special batch of beer. Sandy Relief Ale was released on January 22, 2013, in 22-ounce commemorative bottles to Suffolk and Nassau beer shops and on draft in bars across Long Island, Brooklyn, Queens, Manhattan, and The Bronx. The proceeds from beer and merchandise sales along with retailer event fundraising netted $58,000 dollars through March of this year. 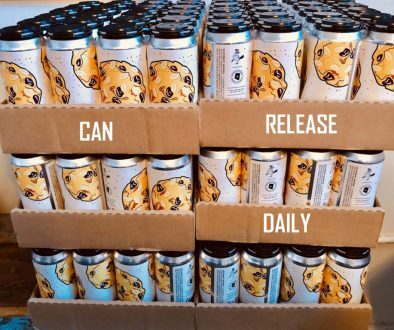 Long Island Cares, Inc. and Barrier Brewing Company each received checks for $29,000 today from Clare Rose, which spearheaded the effort and handled all distribution and sales of the beer. 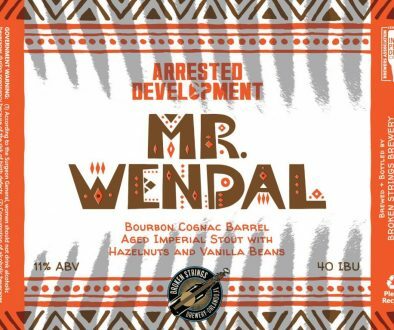 Participating breweries included: Barrier Brewing Company, Blind Bat Brewery, Blue Point Brewing Company, Great South Bay Brewery, Greenport Harbor Brewing Company, Long Ireland Beer Company, Port Jeff Brewing Company, and Spider Bite Beer Company. Additional donors to the cause included keg collar printing by Heritage Tag and Label in Aurora, Colorado, bottle label printing by DWS Printing Associates in Deer Park, New York, and shirt screening by Ad Apparel Custom Screen Printing & Embroidery in Patchogue, New York.